Kowloon Shangri-La Hong Kong is a 688-room luxury hotel owned and operated by the Shangri-La Hotels & Resorts. 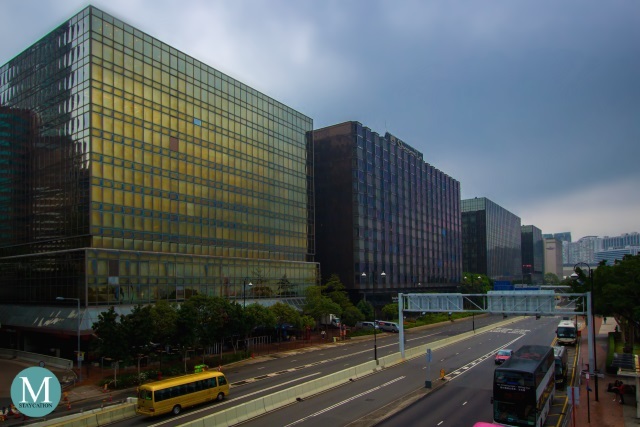 It is centrally located in the Kowloon peninsula near the shopping, entertainment and commercial establishments of the Tsim Sha Tsui East district. Its prime location along the waterfront of Salisbury Road makes it an ideal hotel for tourists, business travelers and staycationers who wish to have an unobstructed view of the majestic Victoria Harbour and of the Hong Kong Island skyline right at the comfort of their room. 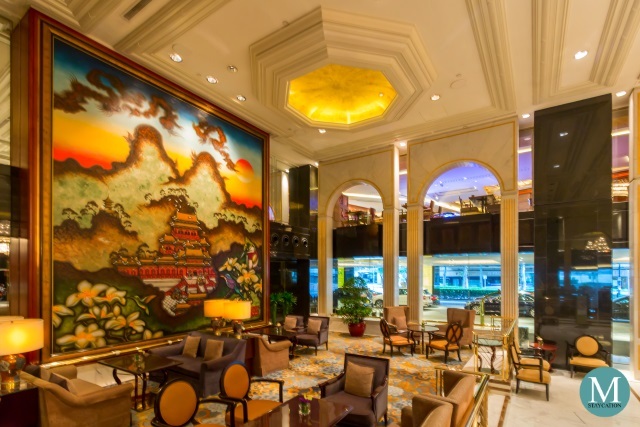 Kowloon Shangri-La Hong Kong also enjoys easy accessibility through various modes of transports. Guests arriving at the Hong Kong International Airport can take MTR's Airport Express and alight at Kowloon Station. 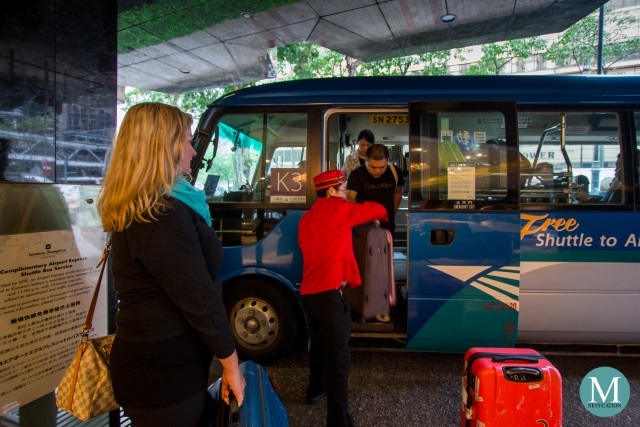 From there, guests can take MTR's free shuttle service directly to the hotel's doorstep. 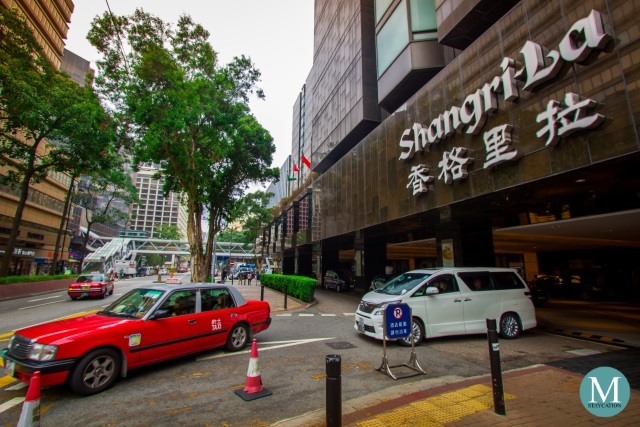 Guests staying a Kowloon Shangri-La can reach any point of Hong Kong via the East Tsim Sha Tsui and Tsim Sha Tsui stations of the MTR conveniently located next to the hotel. If you have stayed in a Shangri-La property, you will immediately notice the signature Essence of Shangri-La scent upon entering the lobby. For me, this is one of the things I anticipate when arriving in a Shangri-La hotel. The scent gives you a sense of coming home to a Shangri-La, so even if it was my first time at Kowloon Shangri-La Hong Kong, I instantly felt at home. 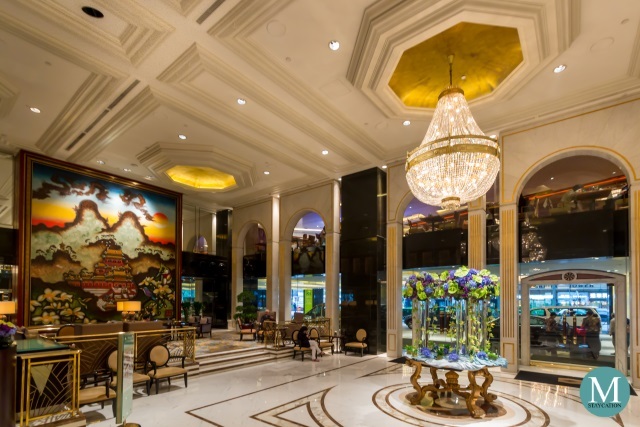 An interesting detail of the lobby is the two-story high mural entitled Shangri-La Valley. It depicts a mythical kingdom in the Tibetan highlands inhabited by exotic birds amidst verdant gardens and colorful flowers. The mural also incorporates the concept of Gao Lung (九龍), or Nine Dragons, from which Kowloon got its name. 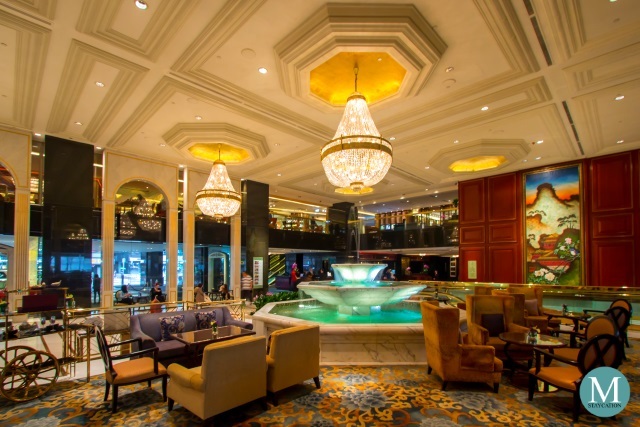 My favorite spot to stay at the lobby has got to be next to the fountain. The tranquil sound of the water flowing through the three-tier marble fountain has a relaxing effect that virtually stops time. I can seat here for hours without noticing the passing of time. 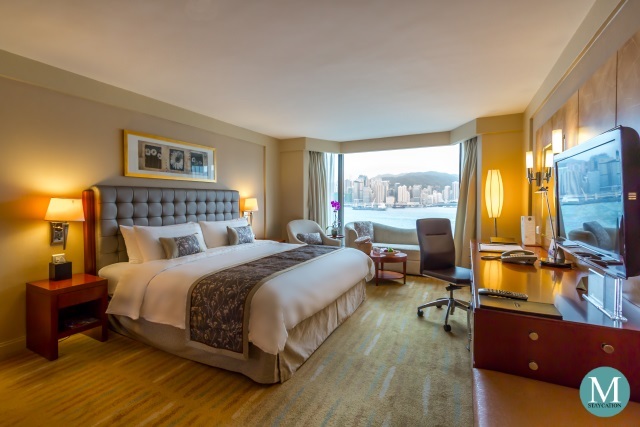 Kowloon Shangri-La Hong Kong has a total of 688 spacious and well-appointed guestrooms and suites, as well as Horizon Club rooms. During my recent trip to Hong Kong, I decided to bring along my mom with me. 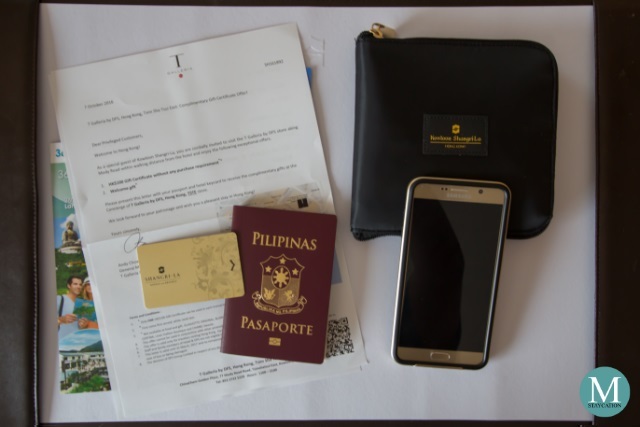 It is one of those seldom trips that we are together, so I made sure that we get the best view of Hong Kong by staying in a Deluxe Harbour View Room. 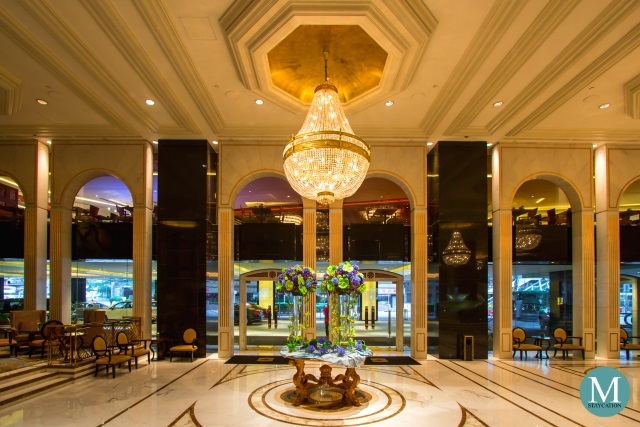 Guests staying at Kowloon Shangri-La Hong Kong are eligible for exclusive shopping privileges from two of the biggest retail conglomerates near the hotel, T Galleria (by DFS) Hong Kong-Tsim Sha Tsui East store on Mody Road and Harbour City on Canton Road. 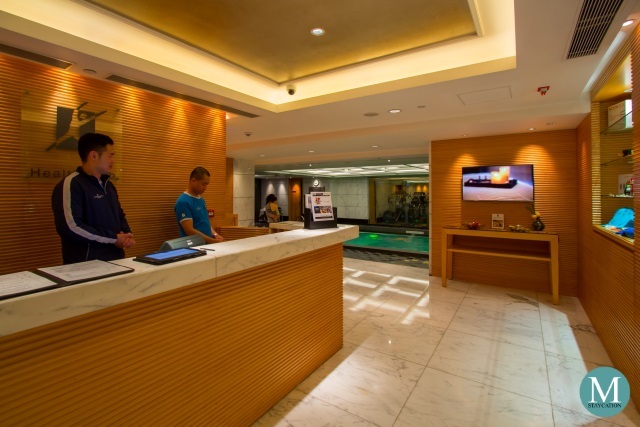 Upon check-in at the hotel, you will receive an invitation letter from T-Galleria which you can use to redeem a HK$100 gift certificate at T Galleria (by DFS) Hong Kong-Tsim Sha Tsui East. At Harbour City, you just have to present your Kowloon Shangri-La Hong Kong hotel key card and you will receive over 150 shopping and dining offers. Such a great deal for tourists, business travelers and staycationers. Guests also enjoy complimentary access to the Health Club. 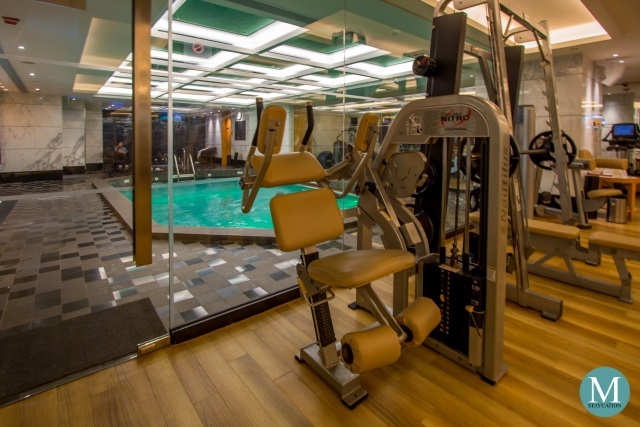 Business travelers and tourists adjusting to the time zone can take advantage of the state-of-the-art fitness equipment and facilities of the Health Club which is open 24 hours. The Health Club also has an indoor swimming pool, sauna, steam bath, Jacuzzi and solarium. Guests can also avail of relaxing massage, facial and body treatment services available at the Health Club. 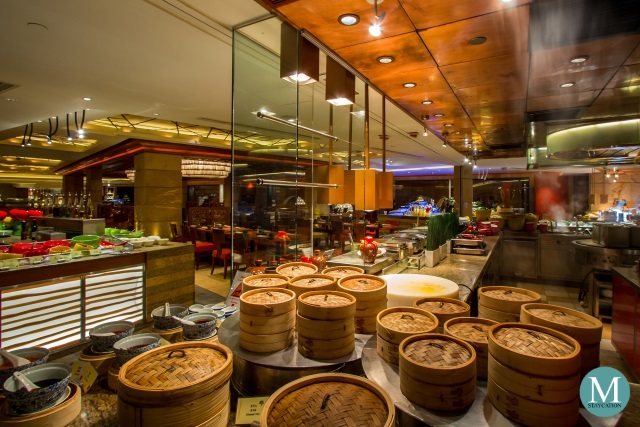 Kowloon Shangri-La Hong Kong has a total of seven dining outlets including an international all-day-dining restaurant, three specialty restaurants, a delicatessen, a lounge and a bar. 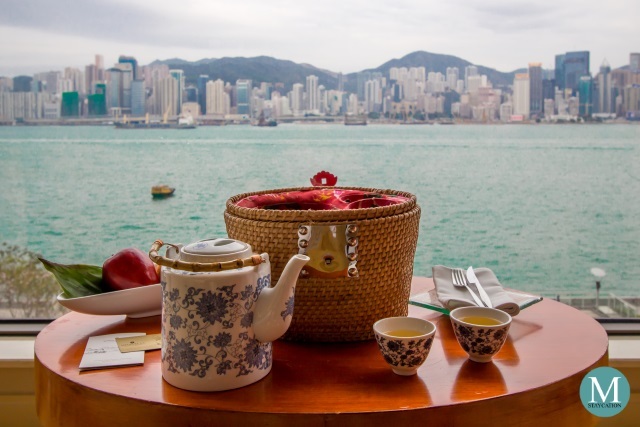 During our visit, we were able to try its award-wining Cantonese restaurant, its famous afternoon tea offering and enjoyed the evening view of Victoria Harbour while sipping on expertly mixed cocktails and international tapas. 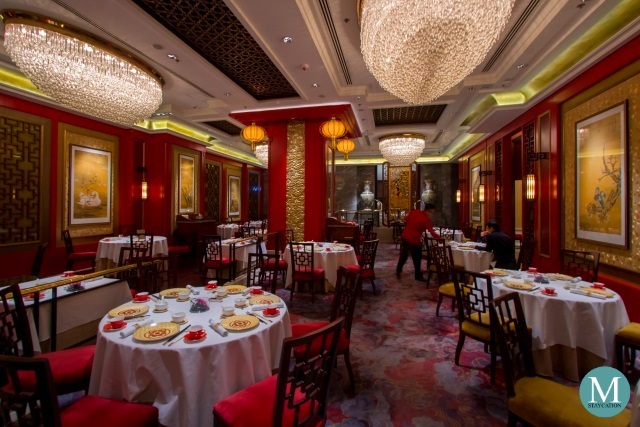 Shang Palace is the Michelin two-starred Chinese restaurant of the Kowloon Shangri-La Hong Kong. 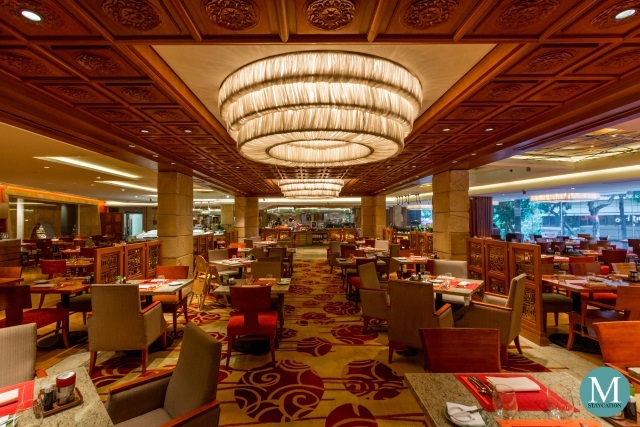 This flagship Cantonese Restaurant of Shangri-La Hotels & Resorts opened in 1981 and has since then received numerous awards and recognition, including the coveted two Michelin stars from 2009 to 2017. 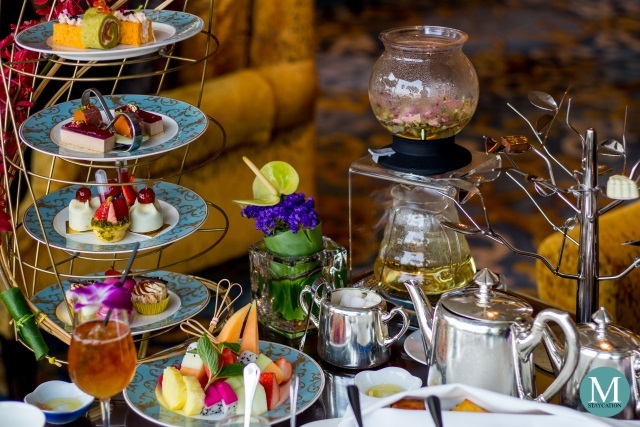 One of the highlights of the Lobby Lounge is the Birdie Paradise Afternoon Tea, a four-tier afternoon set which is available in two menus: the Chinese Afternoon Tea Set and the European Afternoon Tea Set. Tapas Bar serves international tapas paired with a selection of new world wines, local and international beers, and cocktails. 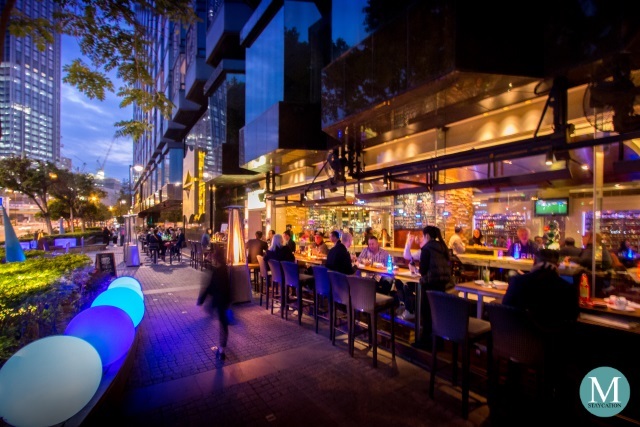 It features an indoor and and al-fresco dining area with a stunning view of Victoria Harbour. 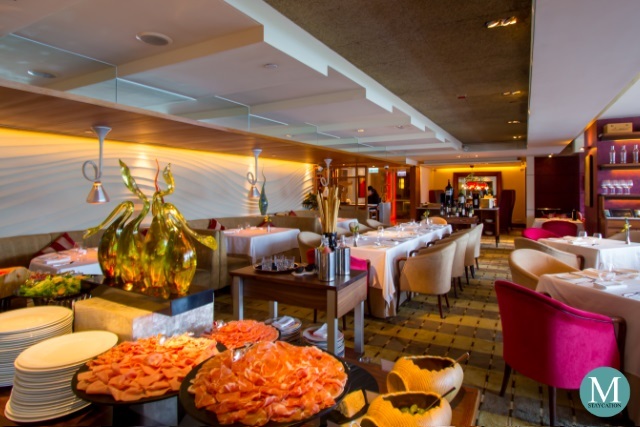 An overnight stay at Kowloon Shangri-La Hong Kong comes with complimentary buffet breakfast for two persons at Café Kool, the hotel's all-day dining restaurant. 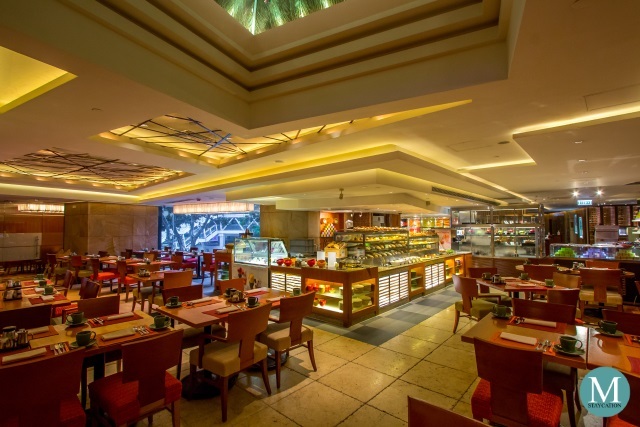 Buffet Breakfast at Café Kool features a wide selection of pastries, salads, dim sum, noodles, a variety of Asian, Indian, and Western hot dishes, an egg station, fresh fruits and fruit juices. 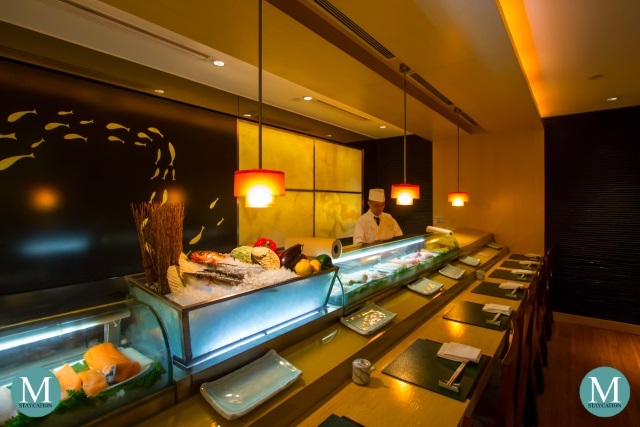 Buffet breakfast is available daily from 6:30am to 10:00am. 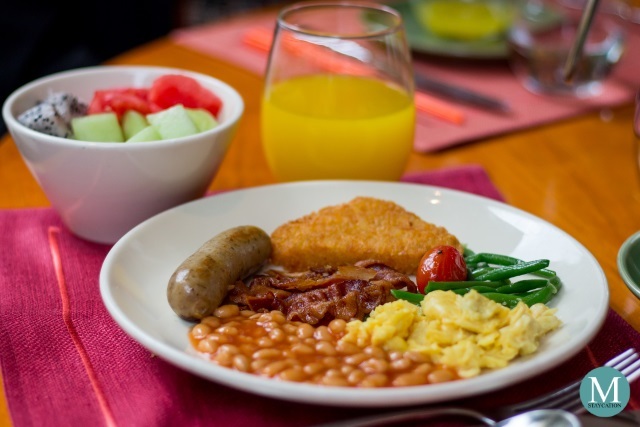 Guests staying in Horizon Club Rooms or Suites have the option of taking their breakfast at Café Kool or at the Horizon Club's private lounge. 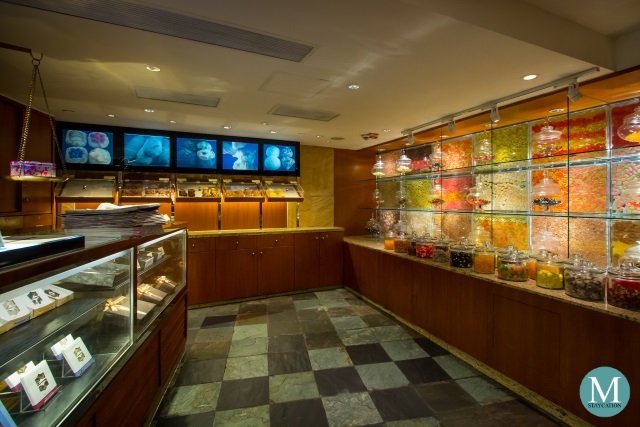 Food selection at the private lounge includes a buffet serving of continental breakfast items plus unlimited servings of items from the a la carte breakfast menu. Above everything else, it is the distinctive Shangri-La Hospitality that makes every stay in a Shangri-La property a memorable one. This brand of Asian hospitality transcends all nationality, culture and age, ensuring consistent quality in service in all Shangri-La properties around the world. This is the same Shangri-La Hospitality we experience during our stay at Kowloon Shangri-La Hong Kong. Everyone greeted us with a genuine smile. Excellent service is delivered consistently with a caring and can-be-done attitude. This is why I love staying in a Shangri-La, and this is why Kowloon Shangri-La Hong Kong instantly became one of my favorite hotels. I am looking forward to staying here again.